So tomorrow it will be two weeks until valentines day/. /. And in the spirit of things I’m going to get all soppy and offer buy one get one free on ‘Love birds’../. 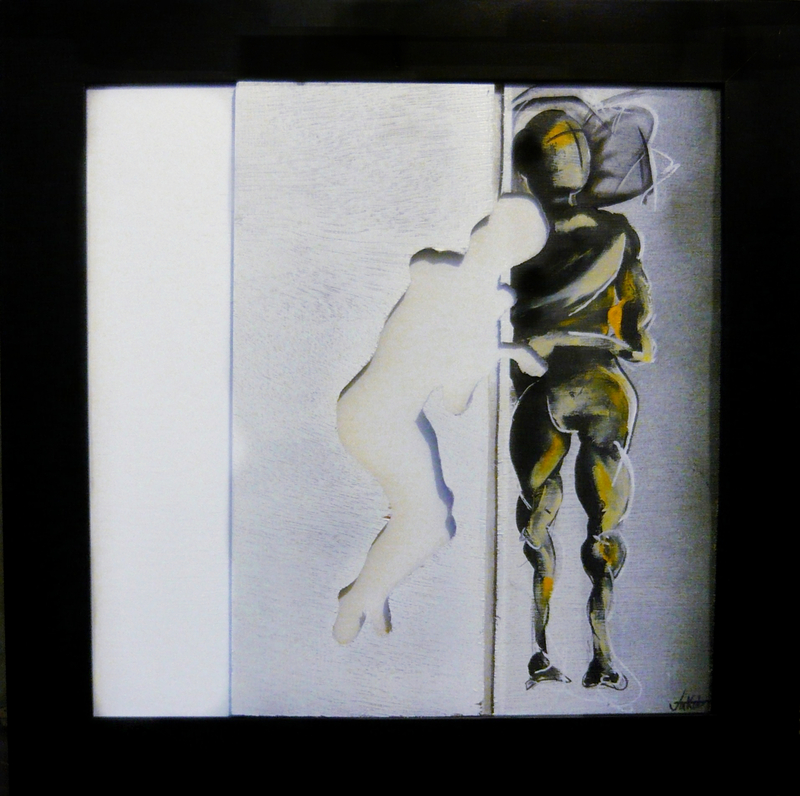 Choose your own colors and objects and i will paint the perfect matching partner for free.. /. /. You can contact me directly via jbelbin@live.co.uk or you can order straight away via my shop/ ./. A while back now i was contacted by a guy who saw my show ‘Everything Changes’ we got talking about art and music and the blending of the two. /./. His name was Giovanni and i later found out that both he and his band we based in Italy. /. After mutually falling in love with each others craft I ended up doing the artwork for their newest release/. 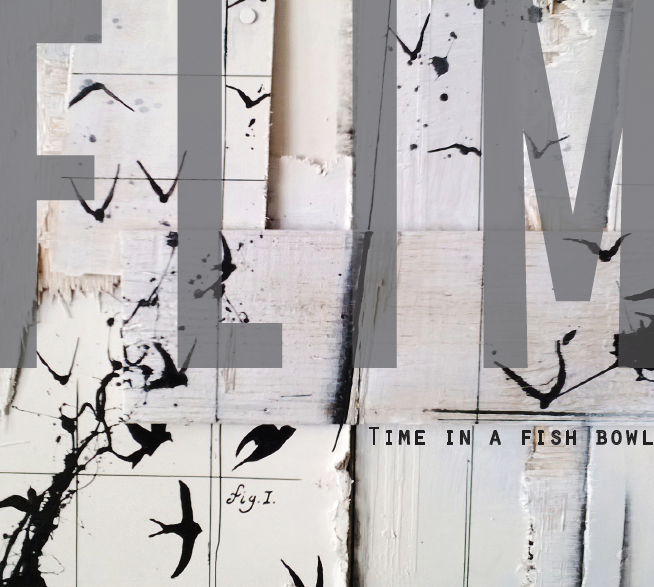 / .FLIM – Time In A Fish Bowl. Now this week they will be releasing a track for free off the upcoming album, Due date Feb2014./. Now i urge you to go and give these guys a listen, not just because i’ve done the artwork but because they really are awesome./ ./. Personal Hygiene .././. The Virus./. This series started with a fascination of pixelated videos and photos.The idea behind the ‘Virus’ series it takes the effects a virus can have on a computer or program and translates that into human form, like the body has a glitch or error. I Want The One I Can’t Have./.. …/. And It’s Driving Me Mad.//…./. Painted Last Year…/. Possibly The Most Important Painting Of My Life./…/. Build a Bridge To Her. . /. / /// . . /. 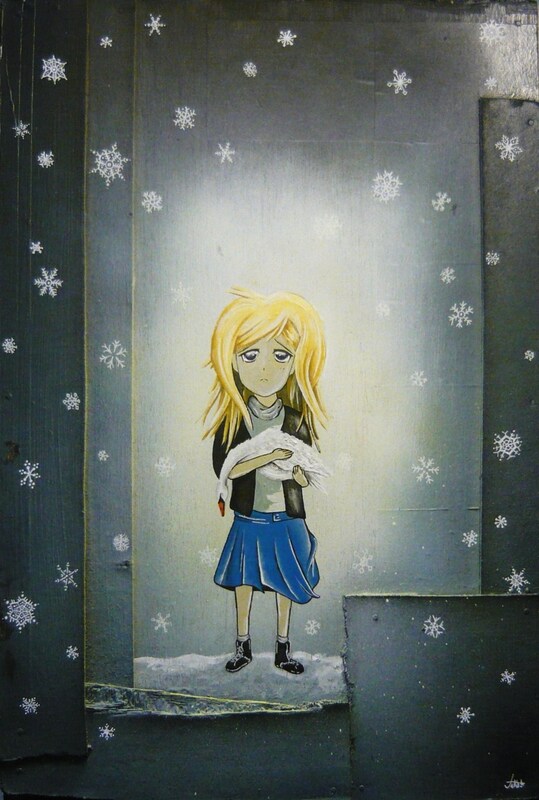 It has been nearly a year since i last saw this piece and it was painted over a year ago./ / /. Now it is back and the bridge is in perfect condition //. May it last forever/. Oh Christ. /.Mas. . ./ /. Blogging wise it has been rather quite here in the build up to xmas, that’s because all of the paintings i was working on were in fact gifts and so obviously i couldn’t publish them. So here is a backlog of paintings. / /./. The second wave of paintings was a set of portraits../. not something you’d associate with me.. and furthermore they were both painted on canvas./. another thing you would not associate with me. It s always a good thing to take my self out of my usual sphere of working, both of the canvases were still reclaimed and recycled and i feel like despite working from photographs i managed to inject plenty of Belbin hallmarks to the pieces.